Within Harry Worcester Smith’s archives at the National Sporting Library & Museum is an undated note written in Harry’s shaky hand on the front of an envelope: “Who will continue my accumulation of thought, feeling and art?” It’s as though he’s about to send his question out to the world at large, minus postage. What was Harry Worcester Smith’s work? 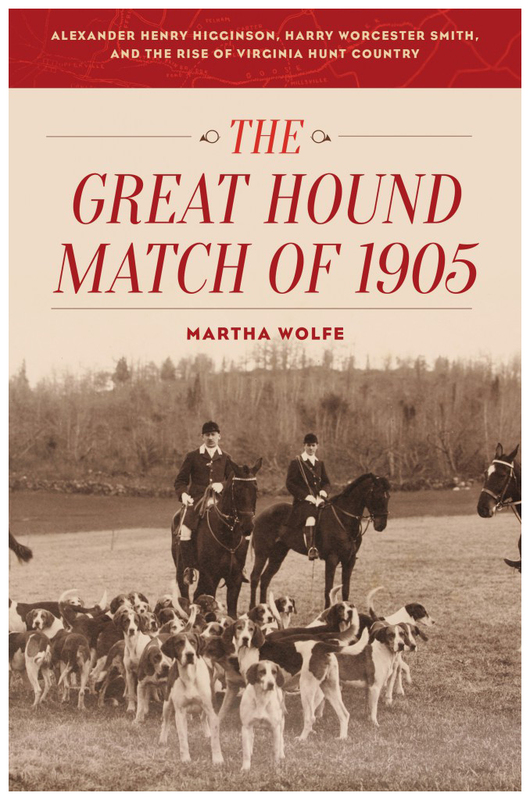 Besides the industry of cotton—patents, mergers and acquisitions—there were horses, hounds, flat and steeplechase racing, dog and horse-show judging and the politics of each. He considered his work not just the doing of these things, but the fairness of each act—the transparency, the egalitarian and pragmatic roots of every endeavor. When Harry asked the world at large, “Who will carry on?” he meant “Who will see what needs to be done and do it?”, which compelled him to tell his life’s story in first person. His archival papers include an unpublished autobiography—nine typewritten chapters edited by an unknown editor. He worked on his book between 1924 and 1943, but he never saw its publication. The closest he came is what amounts to a scrapbook: a twelve-page buckram-bound volume titled The life of an American sportsman; being reminiscences by Harry Worcester Smith, privately printed in 1932 when Harry was sixty-eight years old. As evidenced by the long title page written in the Old English style, he intended his final product to be in two volumes fashioned after A Sporting Tour of France by Colonel Thomas Thorton. (See http://www.nationalsporting.org/nslm/library_collections, then click on “Library Catalog to find these and other titles held at the NSLM.) It’s a mystery as to whether Harry Worcester Smith is the publisher of this slender volume. The pages are numbered in his own hand and some are annotated likewise, but the printer is not listed and the only identifying mark on the book as to its origins is a small sticker inside the back cover: “Sydney R. Smith Sporting Books, Canaan, New York 12029,”a publisher and bookseller in New York from 1983 to 1961. Harry clearly envisioned his autobiography as a lesson to the young, a word to the not-yet-wise, a glimpse of his past and, yes, a platform for some bragging rights. “Of what use,” he writes in the Preface, “are great achievements to the maker unless he is alive to look back on them with pride, learn their worth to mankind and see their value realized by others.” Reading his stories about the places he went, the meals he enjoyed, the horses he bought and sold, loved and even killed, the hounds he bred and hunted, the fights he fought “For the Sake of Sport in America,” there emerges a portrait of a pragmatist, a patriot, a naturalist, an industrialist. He was serious about each, but he was very, very serious about fun. What to do with a pig’s ear? Missy Reed on What to do with a pig’s ear? The man that lives in the house on What to do with a pig’s ear? Patsy Davis on What to do with a pig’s ear?